This presentation was developed for the Colonial Dames of America (Robert Lawrence Chapter) and is a shorter program more suited to civic groups. It explores textiles in early America and looks at fabric printing methods as well as textiles from the period. 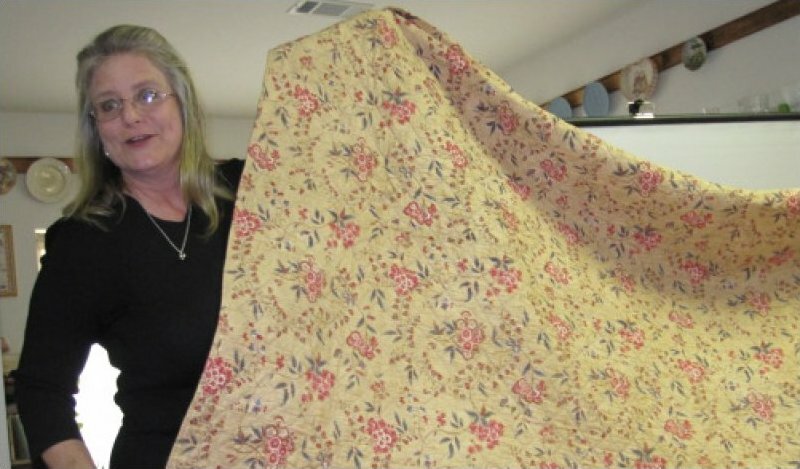 Some common myths about Colonial Quilting are also briefly explored. This program emphasizes the beautiful chintz quilts (primarily broderie perse), calimanco, and John Hewson prints. Textiles from a couple of America's early first ladies are also touched upon.